Use Red Female Hose End with Red Stripe Soaker Hose to fit both 700 and 710 drip tubing and soaker hose. 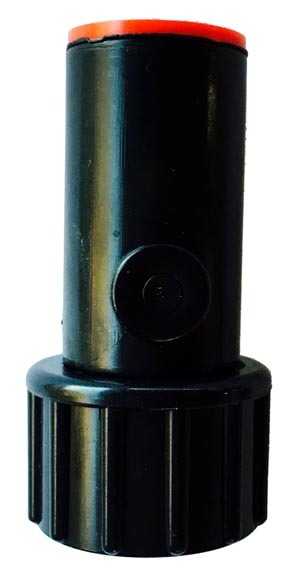 Use to attach .700 or 710 mainline drip tubing, or soaker hose to a hose bibb, spigot, hydrant, faucet, end of a garden hose, filter, pressure regulator, etc. The swivel end screws onto male hose threads. New line of red end compression fittings to fit both 700 and 710 drip tubing and soaker hose. For those of you with arthritis, this is so easy if your using 700 tubing, and 700 soaker hose!